where I saw the Lord Jesus, exposed in the monstrance. 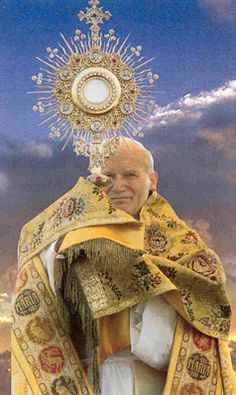 In place of the monstrance, I saw the glorious face of the Lord, and He said to me, What you see in reality, these souls see through faith. Oh, how pleasing to Me is their great faith! You see, although there appears to be no trace of life in Me, in reality it is present in its fullness in each and every Host. But for Me to be able to act upon a soul, the soul must have faith. O how pleasing to Me is living faith! 1421 Those taking part in adoration at that time (47) were Mother Superior and a few other sisters. But I recognized that it was Mother Superior‟s prayer which had moved heaven, and I rejoiced that there are souls so pleasing to God.